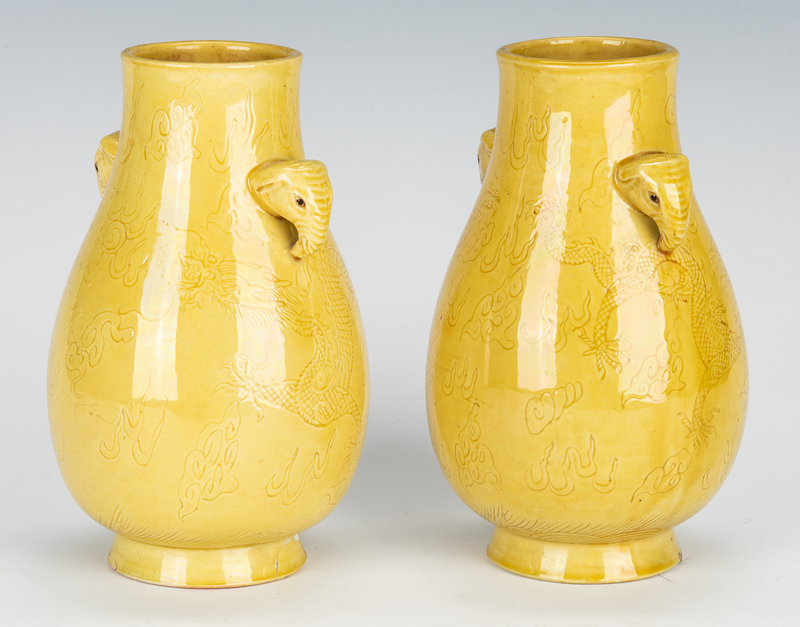 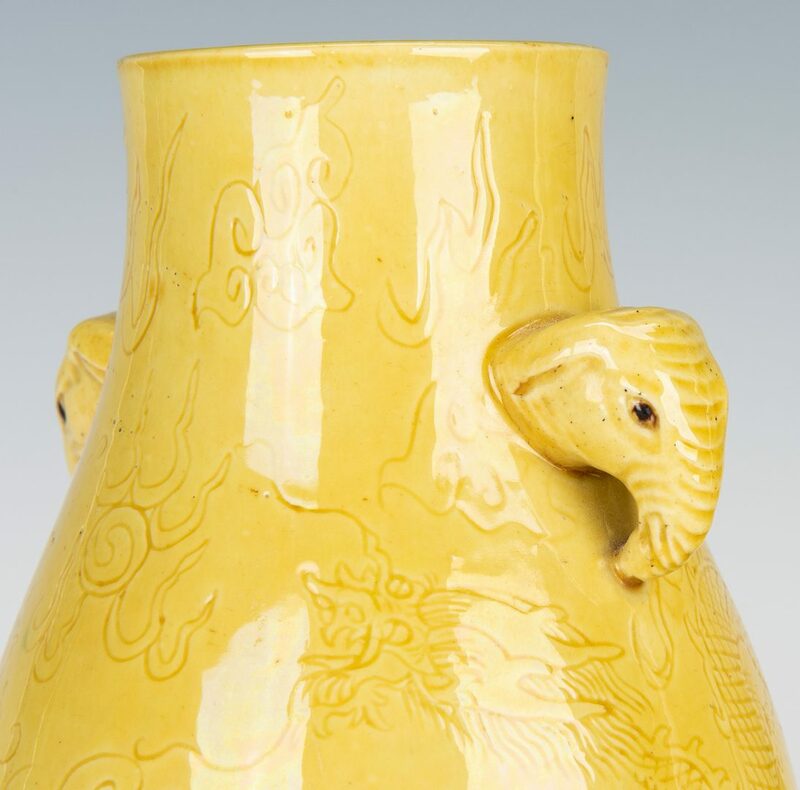 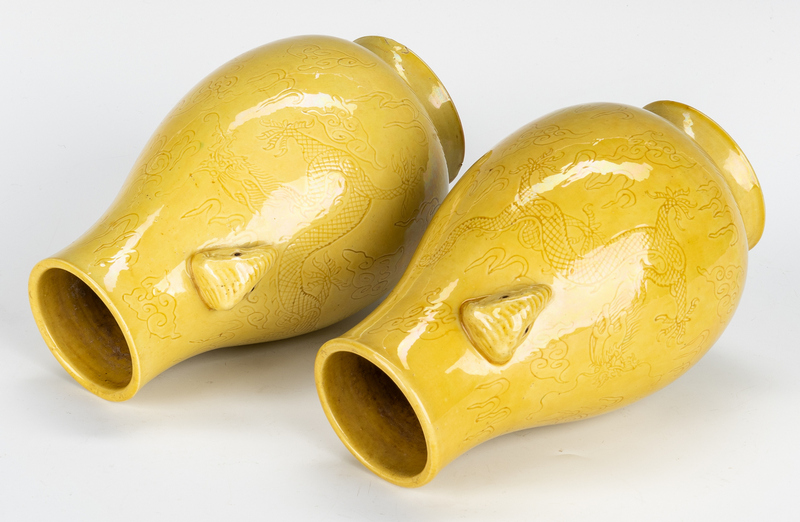 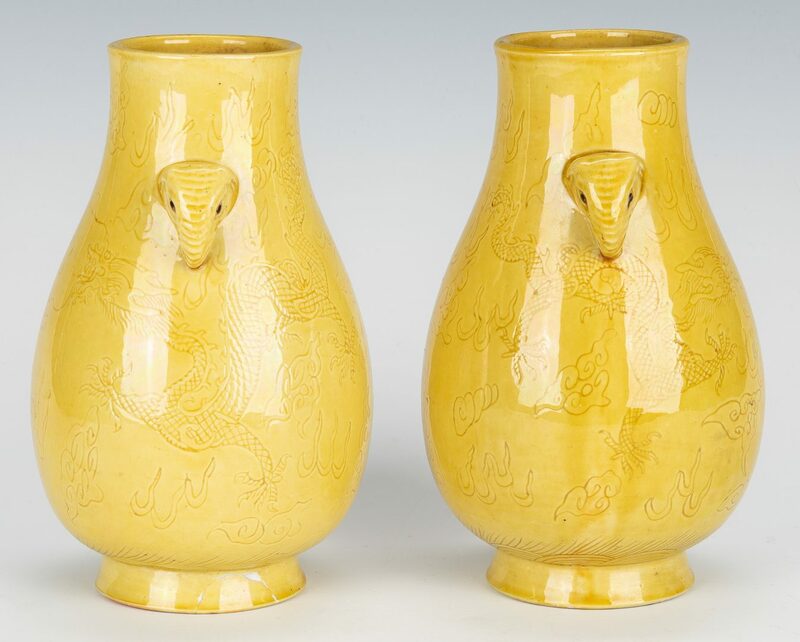 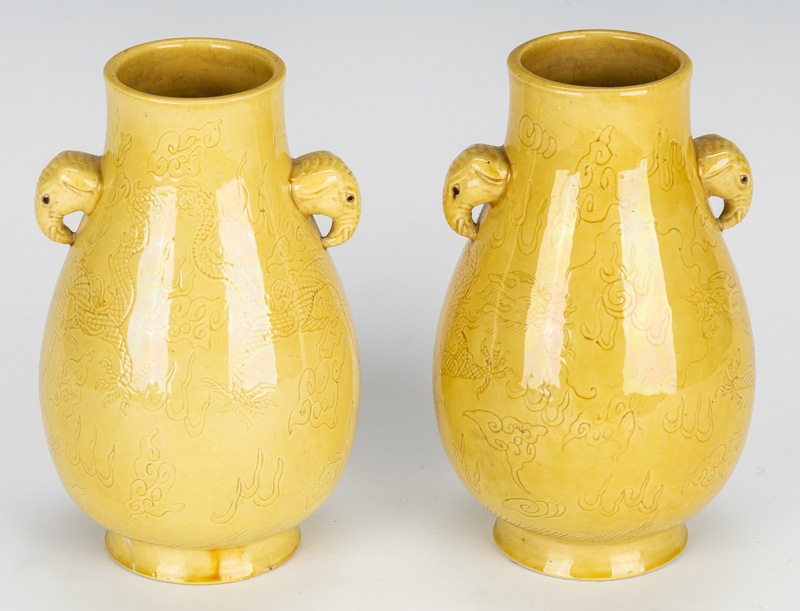 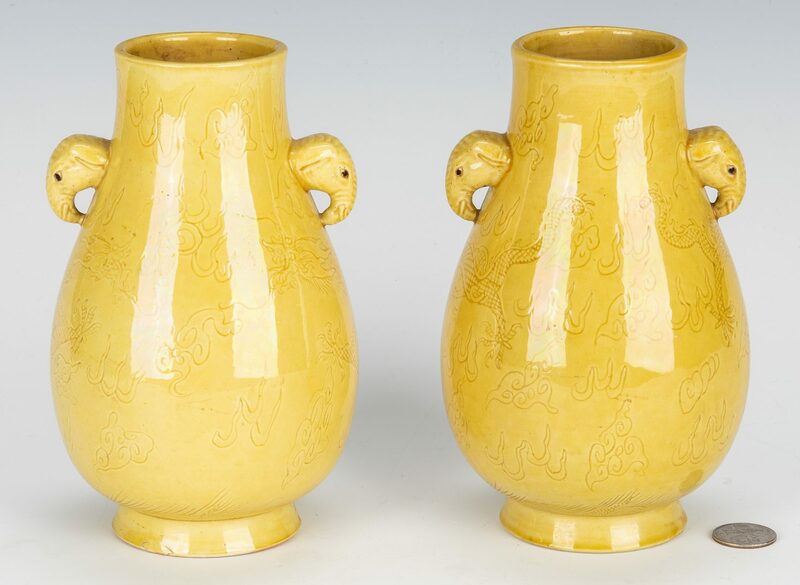 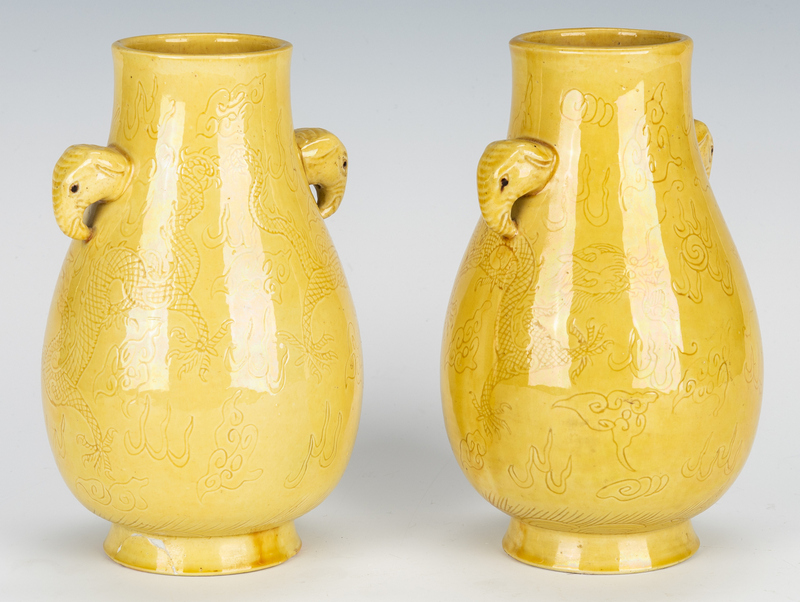 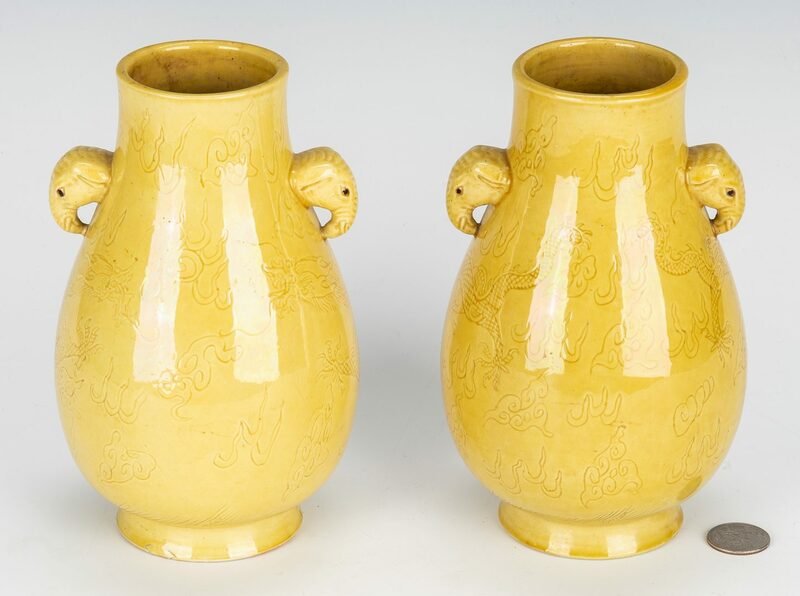 Two (2) Chinese Hu Fan Porcelain Vases, yellow glaze with incised dragon and cloud decorations and elephant ear handles in the form of elephant masks. 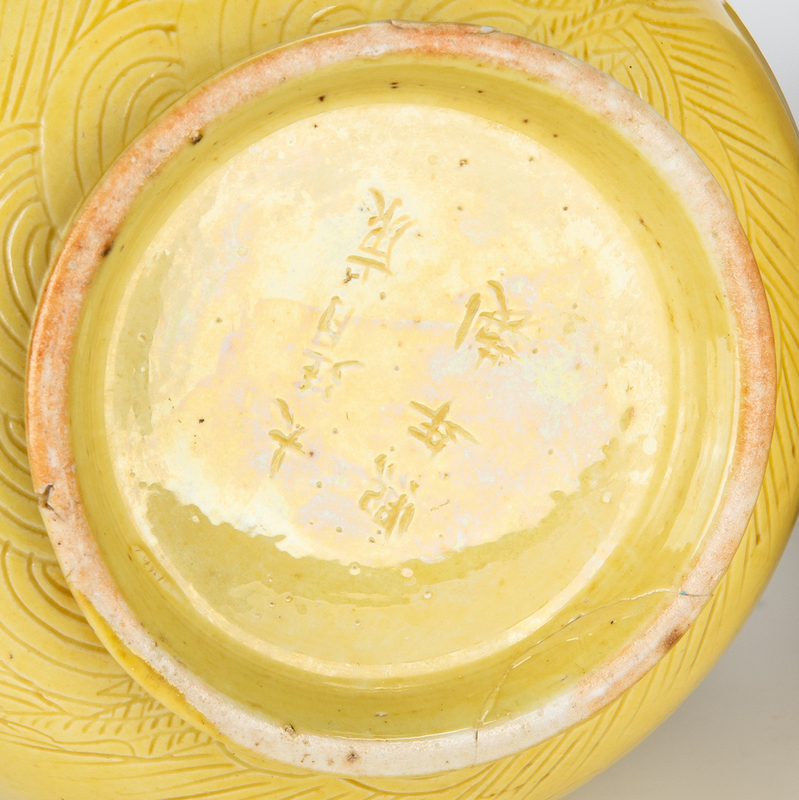 Kangxi marks to underside, possibly apocryphal. 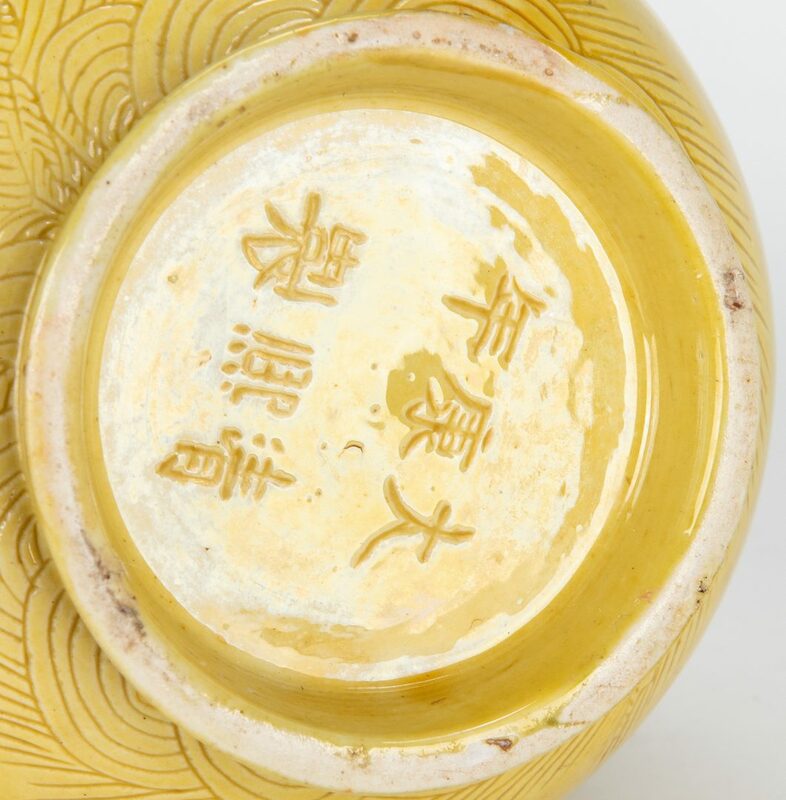 Marks are different on each piece. 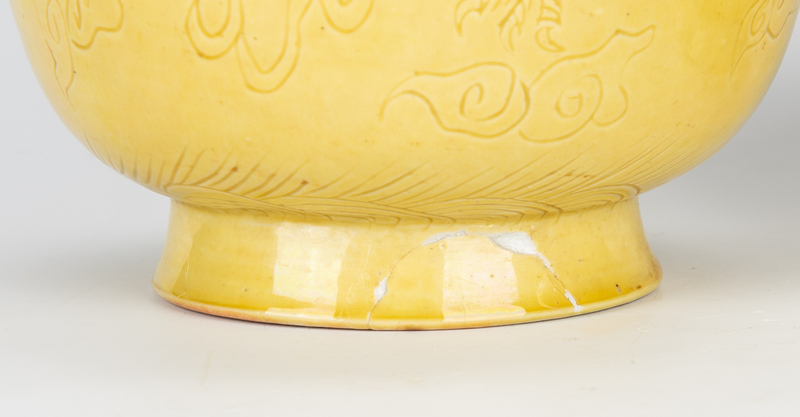 7 3/8"H. CONDITION: Repaired 1" chip to foot of one vase.